Home › Football › Let’s pick him! The results of our study showed that rating a players’ skill levels and the selection of players, is not a straightforward thing to do. Although the observers in our study agreed on the skill and ability of some of the players, they did not on all of the players. In fact, they disagreed on the ability of over 40% of the players! It is important for coaches to be aware of this and to consider which sources of information influence their judgements of playing ability. In ice-hockey shots on goal, carries, and passes are the easily observable behaviours that players show in a game. Observers in our study based their decisions about skill on the total amount of actions that a player executed as well as the relative amount of shots and caries compared to the number of passes. Little is known about the links between player skill and in-game playing behaviours, so the playing behaviours investigated in our study are not necessarily indicative of the actual player skill or stage of development in the same way as our expert observers used them. For example, the finding that our expert observers rated more players who executed a greater amount of actions as highly skilled does not necessarily mean that players who executed a greater amount of total actions are actually the more skilled players; observers simply seemed to have used these playing behaviours in the formations of their opinions. Coaches should test their own abilities in perceiving the associations between player skill, in-game playing behaviours, and player ratings. 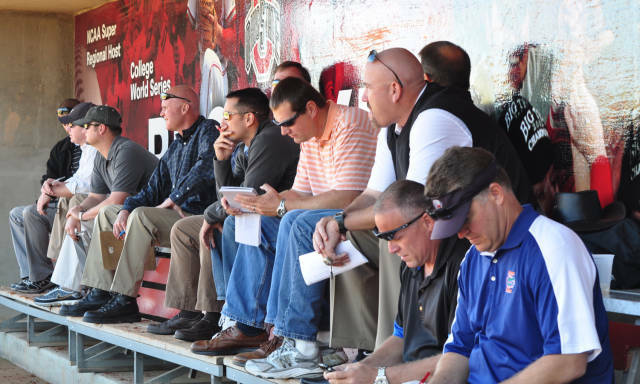 An important implication of our findings for coaches – and other observers in sports such as scouts – is not to put too much emphasis in the selection procedure on that one game that they happen to be able to see. Although our data showed a relationship between the behaviours shown during the game that was observed by our expert observers and those performed over multiple games, the analysis also showed quite a bit of variability. That is to say, the players were filmed in a number of games and they didn’t always show the same behaviours in all the games that were filmed. Obviously this is a problem for scouts that quite often only see players only ones. But it is also important for coaches to be aware that some players might need more games to show what they are worth, while other players might, purely by chance, show what appears to be what the coach or scout is looking for. When coaches know what information shapes their ratings of a players’ skill levels, it will support them to discuss their rating with other agents involved in the players’ development, such as other coaches, scouts or parents. What’s more, it will assist them in adjusting their expectations of players. A likely result of a coach’s skill rating that does not fit the actual skill level of a player is the creation of unrealistic expectations and the creation of an environment for the player that is either too challenging or not challenging enough. This is most likely to happen for those players in the category where, for instance, coach A rates the player as high skilled but coach B rates the same player as low skilled. As a consequence of these differences, coach B would set the bars lower for these players than coach A would do. Depending which rating of skill level fits the actual capabilities of the player best, the coach will set more realistic goals, is more likely to achieve successful experiences with that player and as a result will optimally facilitate the player’s development. Abstract: Rating a player’s skill level is an essential task for coaches to select the players with greatest potential to reach the top and to further be able to adjust the training program to the skill level of the player in order to most optimally facilitate the player’s learning and performance. However, limited research exists on how they do this. This study examined the association between in-game playing behaviours and observers’ ratings of skill level. Three observers rated 71 junior ice hockey players (House League Level, Bantam Division in Canada). Results revealed that players were more often rated high skilled when they executed a greater numbers of actions, of which relatively more shots and carries compared to passes, and when they were involved in the play more often (p < .05). Conversely, players were rated more often low skilled when they executed fewer actions, of which relatively more passes, and when they were involved in the play less often (p < .05). The in-game playing behaviours appeared to be used as information sources for player ratings. The results presented highlight the need for further research on the sources of information used by coaches as it will increase awareness about their coaching’s process with regard to player selection and player development.